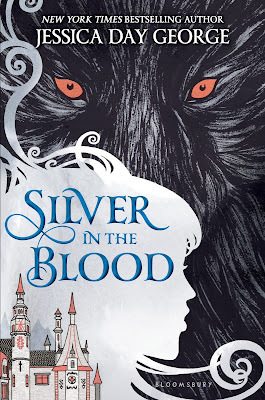 Magical Urban Fantasy Reads: Silver in the Blood Blog Tour Stop + Giveaway! 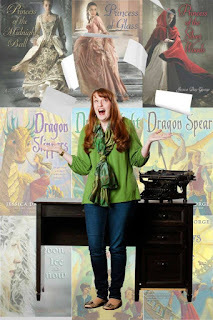 Silver in the Blood Blog Tour Stop + Giveaway! The tricky part is that I have children. I’d love to be able to roll out of bed in the morning and just get cracking on the story, work all day if I’m in the mood. But first there has to be clothes and food for the children (and myself), and usually laundry and dishes and reminders to practice piano. But then there’s the afternoon! The glorious afternoon! I often have a babysitter during the week, and my husband takes charge on weekends, so that I can shut the office door, or go to my local library, to work in peace. I use noise-canceling headphones, even in my own house. If it’s a rough draft, I listen to music, if it’s an edit, I can’t listen to anything. I also like to have snacks nearby: Red Vines, and some really super dark chocolate. We are talking pure cacao. And a water bottle. It’s almost like a nervous tic, the water drinking while I write. I try to write at least 1,000 words every writing session. I also like to multi-task while I write. I keep Goodreads open and will rearrange my to-read shelf or do the never-ending trivia game in between paragraphs. I also like to look at knitting patterns online. I don’t know why, I just find it soothing to look at knitting and think about making an afghan that is a map of the United States… So I’ll write a sentence, or a paragraph, and then while I’m thinking about whether I liked what I just wrote, or what to say next, I flick over to Goodreads or Knitty and look at something else for just a minute. And then back to my World document. And well, the secret to good writing is just to get your bum in the chair and keep plugging away. So that’s what I try to do. I try to find the time to get those words on the page. Some days I reach my 1,000, some days I feel like 400 is a triumph. All that matters is that I tried! 2 winners will receive a finished copy of SILVER IN THE BLOOD. US Only.